Plumbing brakes is a hard task. It takes some serious thought to lay out a plumbing system that is clean, effective, and has minimal breaks in the system. Sometimes you need a specialty fitting for an odd location or to get around something on your hot rod of choice. Speedway Motors has all the specialty brake plumbing solutions! 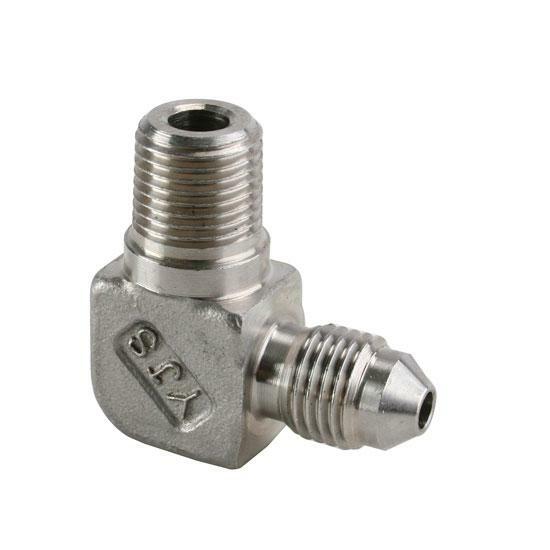 This 90 degree fitting features AN 3 Male to 1/8" NPT to help in those tight situations.